Is Act! CRM struggling to keep up with your growing business? Infor CRM is the perfect upgrade to take you into the future. Act! CRM is our recommended CRM for small to medium businesses because its functionality and ease of use are unmatched, especially for the price! 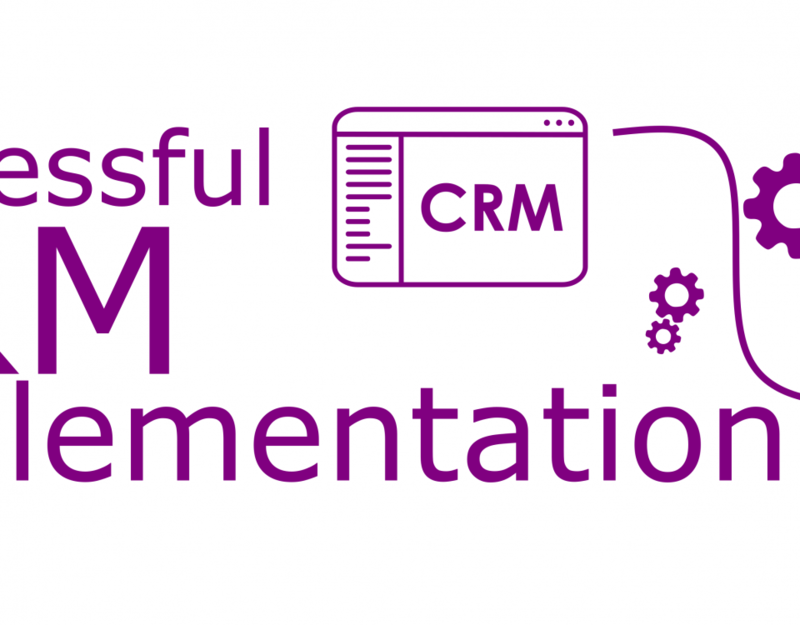 However, for companies experiencing fast growth or with special requirements such as manufacturers or companies with extended customer services needs, it may be time for an upgrade to a CRM with more functionality. With over 100,000 users, Infor CRM (formerly Saleslogix) delivers tools for individuals, teams, and companies focused on increasing sales performance and the insights to optimize sales, marketing, service strategy and execution. Development Platform – Infor CRM has a full suite of tools to allow partners to customise the system, for instance, ERP integration solution enables organisations to quickly and simply build an almost infinite number of integrations or automated processes to reduce repetitive administration and increase the visibility of critical information. Crystal Reports Included – The Industry Standard SAP Crystal Reports is included with Infor CRM allowing users to create report drawing data from many sources. Act! has a proprietary report designer that can only access Act! tables. Marketing Campaigns – You are able to execute and track marketing campaigns directly from within Infor CRM. You can segment your customer or prospect base in Infor CRM, and execute targeted campaigns at a particular market segment, as well as tracking the response to your campaign. From concept to conclusion, using reporting and analytics, Infor allows you to drill into the responsiveness of your campaigns and monitor the return on your investment. Manage and track budget vs. actual spend by project or down at the task level, so that your campaign remains on plan and doesn’t exceed available funds. Xbar – Embedded into Microsoft Outlook, XBar gives you the ability to drag and drop email signatures from Outlook to quickly create new contacts, leads, tickets and more in Infor CRM. Update existing Infor CRM contact and account information directly from Outlook. 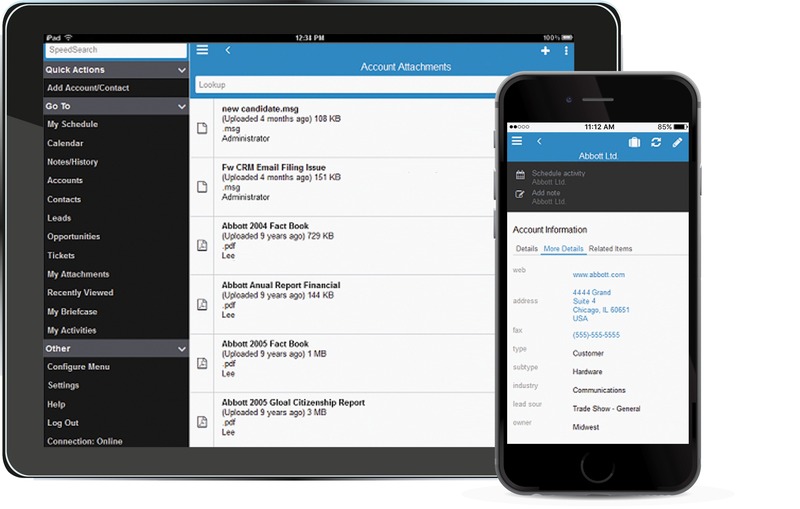 Lead, contact, account, and history information from Infor CRM is accessible directly within Outlook to improve your email communications. Contracts – Contracts are a sophisticated way of managing Customer Agreements and Equipment Warranties. Contracts can be used to track time spent on customer service issues and can cover Assets created form a Closed Sales Opportunity. Tickets – Tickets record customer inquiries or complaints. They can contain all information necessary to report, investigate, and close an inquiry or problem. You can insert new tickets for an Account, Contract or Contact, track your time spent resolving issues for a ticket against a contract by using the Punch In/Punch Out button, record calendar and other activities for a ticket, and search for existing tickets using the Lookup. Returns – Returns are agreements to accept returned products from a customer for service, replacement, refund, or credit. You can use the Return Detail view to work with a single return, or the Returns List view to work with returns in a spreadsheet-type format. The stage at which a return is closed and the person responsible for closing the return depend on the process within your company. As an example, when the product has been returned by the customer and the replacement product has been shipped, that might be the stage at which you would close a return. Defects – A defect is a record describing a problem in a product or process. It is similar to a ticket, but people involved in the design or construction of the product typically resolve defects. The system tracks defects so that problems with a product or process can be resolved in a timely manner, and company management is aware of issues with these products or processes. There is a difference in cost between the two products and you will need to factor this into your decision to ensure Infor works for your business. Infor CRM comes with a lot more functionality and thusly, the product is more expensive but AlphaLogix will help you understand the costs so you can set out the required ROI for your business. You can see our breakdown of Infor CRM costs here.